Universal Robina Corporation’s Sugar and Renewables subsidiary (URC SURE) SONDECO marks another milestone as it celebrated its 30th anniversary with the inauguration of its new sugar mill in Kabankalan City, in Negros Occidental. “SONEDCO’s success stems not only from its investment in technology but primarily because of the partnerships that it has built over time,” said URC Chairman Lance Gokongwei as he acknowledged the attendees of the inauguration, whom he cited as great believers in the sugar industry. Present during the milestone event were URC Chairman Emeritus James Go; Sugar Regulatory Administration (SRA) Administrator Isidro Hermenigildo Serafica, SRA board member and Planters representative Dino Yulo, and SRA Board Member Atty. Roland Beltran; Kabankalan Mayor Isidro Zayco; Congresswoman Mercedes Alvarez; local government officials; suppliers; sugar cane planters; and members of federations and cooperatives. SONDECO’s capacity was increased to cover the growing volume of sugar canes that needed to be milled in Kabankalan and elsewhere in Negros Occidental. Its new mill, which can crush up to 6,000 metric tons of canes per day, will increase SONEDCO’s total milling capacity to 14,000 tons of canes per day, and total URC’s to 40,000 tons of canes per day. 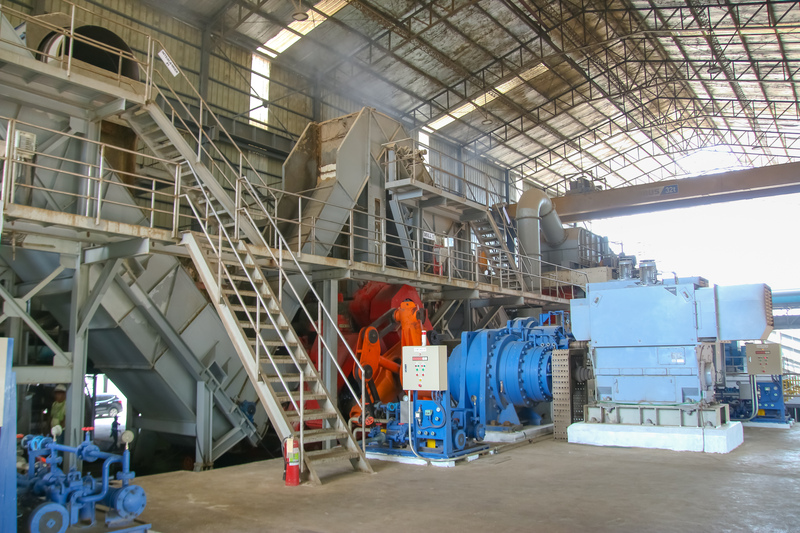 The new mill was designed and supplied by Sutech Engineering of Thailand, while its state-of-the-art planetary gears and electric motors were supplied by Japan’s Sumitomo Drive Technologies. URC acquired SONEDCO in 1988. Since then, major upgrades and machine installations were implemented in the factory. These aimed to enhance operational capacity of the plant and maintain its competitiveness with the neighboring mills. At present, the company has over 500 employees. And during the inauguration of SONECO’s new mill, the workforces who have been in service with the company for 25 to 30 years were also recognized and given loyalty awards. Aside from the newly launched mill, SONEDCO’s Operations Manager Rogelio Callueng Jr. shared that company will continue to upgrade its plants. URC continues to invest in the sugar industry with the goal to help it thrive and be able to support more Filipinos. Its chairman believes that with the right partnerships, an entrepreneurial outlook, and a winning spirit, the country’s sugar industry can achieve a sweet future. URC SURE currently operates six sugar mills and refineries across the country with a combined output of 40,000 tons of sugar cane and 32,000 bags of refined sugar per day. It is the country’s top producer of raw sugar, with a total output of 417,000 metric tons accounting for 17 percent of total domestic production. URC SURE is also the third-largest supplier of refined sugar, with actual production of 2.9 million bags. Universal Robina Corporation’s Sugar and Renewables subsidiary (URC SURE) SONEDCO inaugurates its new sugar mill in Kabankalan City, Negros Occidental last March 12. Leading its ribbon cutting ceremony are (from left to right) Sugar Regulator Administration Board Member (SRA) Atty. Roland Beltran, URC Chairman Lance Gokongwei, URC Chairman Emeritus James Go, Kabankalan Mayor Isidro Zayco, SRA Administrator Hermenigildo Serafica; and Doctor Terapol Pruksathorn. 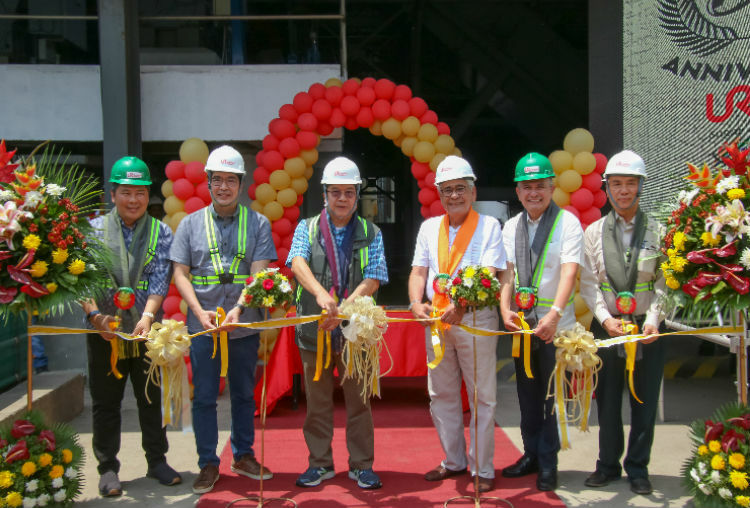 The newly inaugurated sugar mill of Universal Robina Corporation’s Sugar and Renewables subsidiary (URC SURE) SONEDCO will increase its total milling capacity to 14,000 tons of canes per day, and total URC’s to 40,000 tons of canes per day.